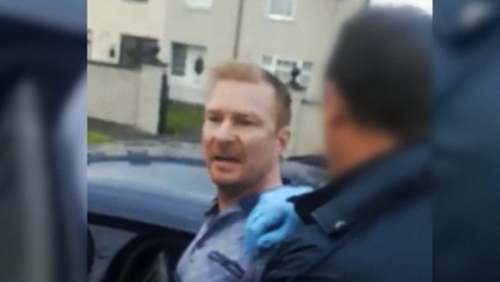 Sa gCúirt Choiriúil Speisialta inniu gearradh príosún saoil ar Kevin Braney, fear a gcreideann na Gardaí a bhí ina cheannaire ar an IRA Nua i mBaile Átha Cliath. Ciontaíodh é faoi dhúnmharú easantóir poblachtach beagnach 6 bliana ó shin. Dé Luain seo caite a chiontaigh an Chúirt Kevin Braney, (44) as Corrán Ghleann Seáin,Tamhlacht i ndúnmharú réamhbheartaithe Peter Butterly (35). Tharla an eachtra i gcarrchlós an 'Huntsman Inn' i mBaile Mhic Gormáin ar an 6ú Márta 2013. Phléadáil Kevin Braney neamhchiontach sa dúnmharú.